Install with poles alone or with Optional Ground Sockets to speed up setup and removal. 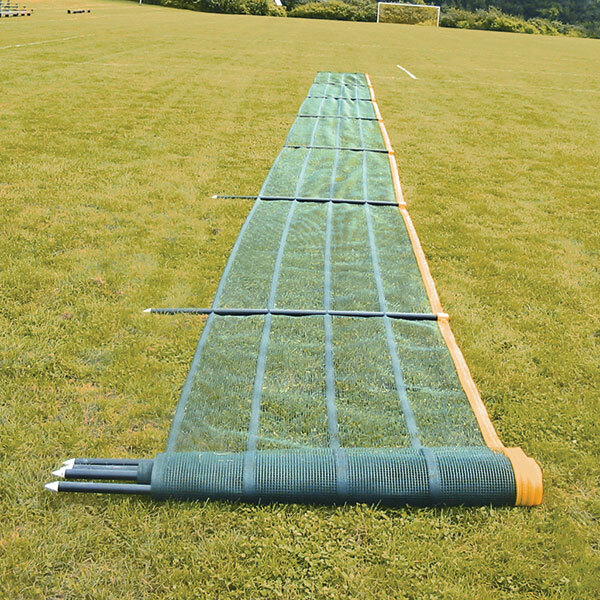 After take down, just roll up the temporary fence with the poles in place and you'll be ready to go for a speedy setup next time. 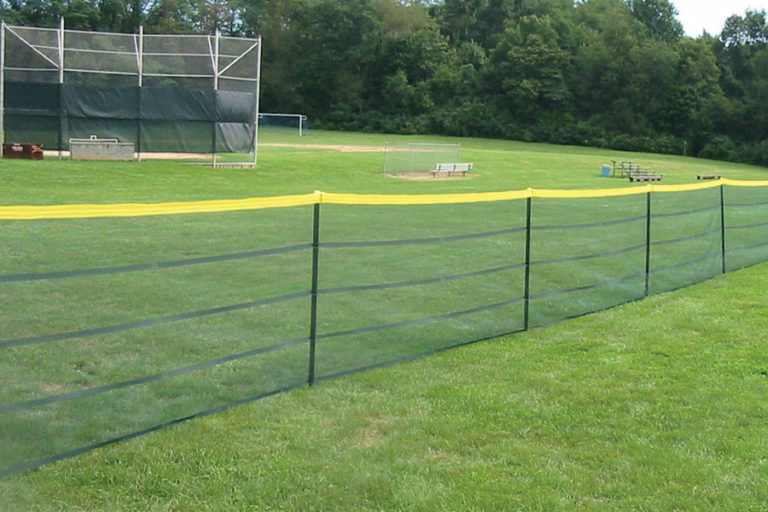 4'H fence available in green, blue, or red. 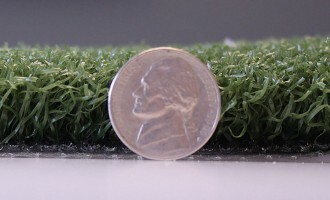 Also consider choosing our easy Home Run Kits for your portable outfield fence. Includes poles and Ground Socket Auger. ABOVE-GROUND and IN-GROUND Grand Slam Fence Systems feature a yellow hem woven along top edge of 4′ high fence to give you optimum visibility. Just slide the poles through the fabric loops and clip the top hem to the pole. 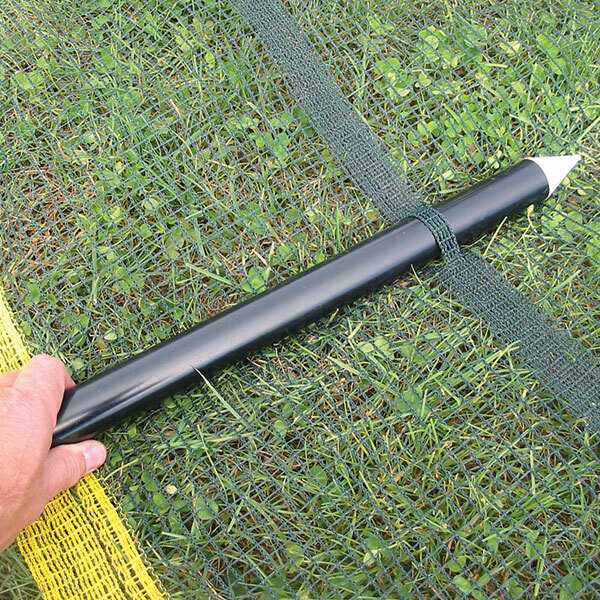 Poles are non-flexible pointed black PVC with yellow hinged top cap. Available with weighted base for above-ground setup or with optional ground sockets for in-ground installation, and as standard fencing or Home Run Kits. Slide the poles through the fabric loops and clip the top hem to the pole. 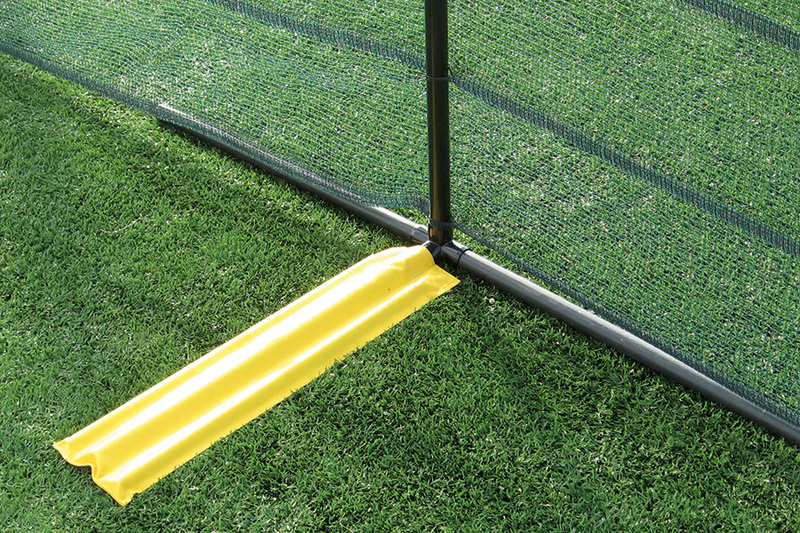 Included poles are non-flexible pointed black PVC with yellow hinged top cap. Install with poles alone or use Optional Ground Sockets for quick removal & setup. 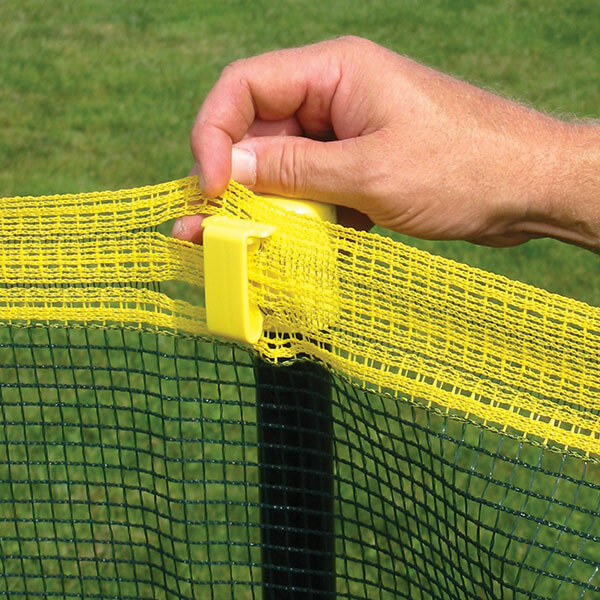 Home Run Kits make it easy to get it right when you need portable outfield fencing. 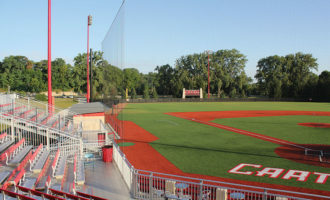 Select from a 200′ or 300′ home run fence — 200ft or 300 ft indicates distance from home plate. 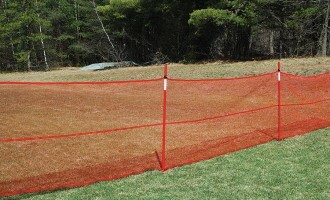 Kits include poles, grounds sleeves are optional. 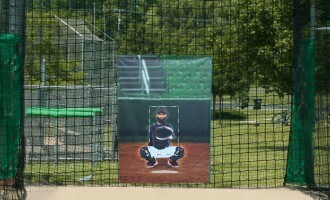 All systems are 4’H portable fence sections w/poles and Home Run kits available in green, blue, or red. See images for easy setup & take down instructions.